British Prime Minister Theresa May has tried to shore up support for her Brexit deal, which she is aiming to amend, in a statement to UK parliament on Tuesday. 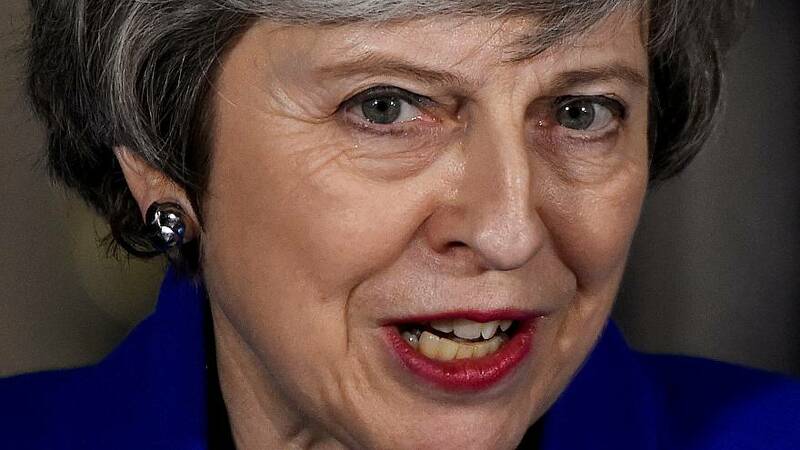 May told MPs she believed she could reach a Brexit deal that parliament could support in time for the UK's planned departure from the bloc on March 29. The Prime Minister said she suggested three amendments to the Irish backstop in the current deal while in Brussels last week. "Given both sides agree we do not ever want to use the backstop, and that if we did it would be temporary, we believe it is reasonable to ask for legally binding changes to this effect," May said. Adding that she will make a statement to parliament on February 26 if there is no deal brought back before then. The Prime Minister also said she is speaking to leaders of the EU27 today and this week. Brussels has reiterated it would not re-open the Brexit deal agreed on in November. May told MPs that talks are at a "crucial stage" and we need to "hold our nerve to get the changes this House requires and deliver Brexit on time". Adding, "By getting the changes we need to the backstop; by protecting and enhancing workers' rights and environmental protections and by enhancing the role of parliament in the next phase of negotiations, I believe we can reach a deal that this House can support." May also said she did not see a customs union as proposed by the opposition Labour Party as the way to secure agreement because it would hinder trade agreements with countries outside the EU. In response, the opposition Labour Party leader Jeremy Corbyn said "tell that [hold our nerve] to Nissan workers in Sunderland" and those concerned with their jobs, following Nissan's recent announcement that it would not be producing its X-Tail model in the UK factory. Corbyn also accused the Prime Minister of "recklessly running down the clock" so that MPs would have to vote for her Brexit deal. Watch May's comments in the video player above.